¥ Custom-designing materials for individuals or groups. ¥ Puzzles, games and stories. The Christian Parent Pin (shown at top right) information is available by clicking. 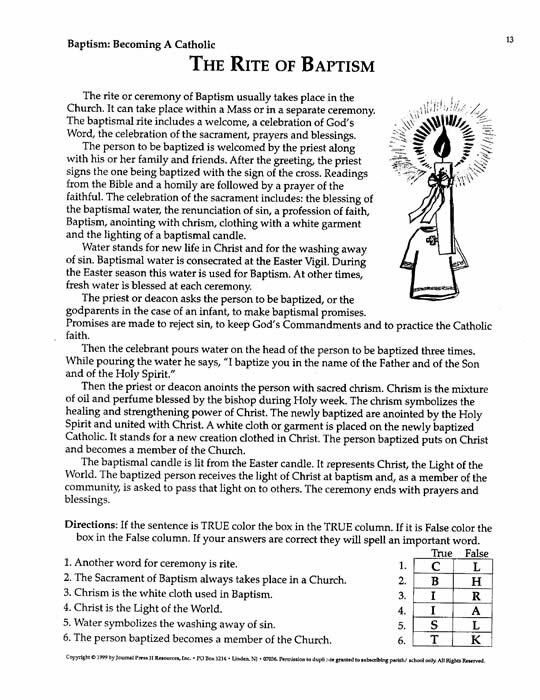 Your purchase (below) will enable the placement of the Baptism: Becoming A Catholic MasterSet PDF on your computer. You will receive an e-mail to enable your immediate download for the set.